At least once or twice a week, we find ourselves at Hardee’s for a quick and easy low-carb dinner. I’m not sure what S has against veggies, but hey, I leave them on if I’m rolling solo. The staff is always so pleasant and has our order mememorized. There’s one high-school-aged team member who always hooks us up with a %10 discount – on top of the already great customer service. It’s the little things and this team has learned us. “The cook always gets so stressed when you guys show up.” Hilarious. We love coming to Hardee’s, but honestly, we need to slow down on the fast food game. 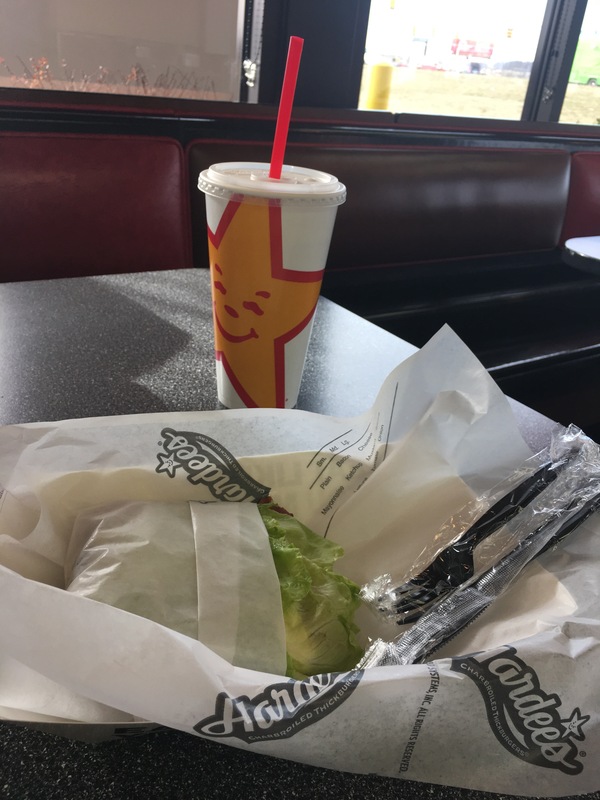 If you find yourself wanting a fast and decent low-carb meal, try your local Hardee’s.